Thread: Cycling Shoes Shaped Like Human Feet? My feet unfortunately look more like the feet in Sketch A in that my big and small toes are pointing inward. This is a problem as it is starting to cause bunions and pain in my toe joints. Looking at my current cycling shoes, they are all shaped a lot like the shoes in Sketch A, but my feet should be shaped like Sketch B. I spent the summer wearing Vibram FiveFinger shoes and loved them. I also now MUCH prefer my feet to live in a "Sketch B" world. That being said, do any cycling shoe companies make shoes actually shaped like feet!?!?! I have 3 pairs of Giro shoes and all of them make my big and small toes point inward. In my research so far, it appears like Bont shoes might actually have a better shape, and Lake shoes often have a wider toe area. However, both shoes are quite expensive. Ideally, I'd like to find a company that makes "foot shaped shoes" for a reasonable price... but is that too much to ask? Several models of Bont shoes are heat moldable, allowing the shoe to have a near perfect fit with your foot. 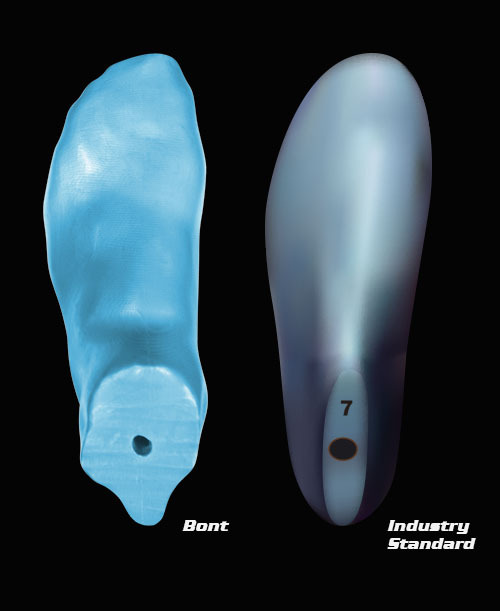 In addition, Bont uses a last that is shaped more like a human foot than the last used by other manufacturers, meaning that the shoe is designed with a shape more like an actual foot and less like a torpedo. Note that some reviewers noted that Bont shoes have a high arch molded into the sole, so beware if you have a flat arch. Louis Garneau's has new mid to high-end shoes featuring "X-Comfort Zone", a flexible region at the outer side of the shoe that allows the foot to splay (widen) by as much as 5mm. Featuring many shoes still made out of animal leather (vs sythentic materials), Lake shoes have long since been know to provide a roomier toe box and many models are available in extra-wide sizes. Visit the Lake web site to learn more about their philosophy on "one size does not fit all". Lintaman creates highly adjustable cycling shoes that are like no other brand. Watch this video to see how they solved the issue of everyone's feet being slightly different. Note that PerformanceBike.com is their only USA distributor (and even though don't stock the shoes), so you'll likely have to order factory-direct through the Lintaman web site and wait several weeks for your shoes. Some of Specialized's shoes, like the Torch 2.0 shoe, come in a wide version that is comparable in width to some of the standard-fit Lake shoes (like the CX237). However, people with a shoe width wider than D will want to pass on Specialized. Last edited by PoorInRichfield; 1 Day Ago at 12:36 PM. I like the more open feel of a large front box on my shoes. I was wearing a Specialized wide MBike shoe, and the last shoes I got were Bont wide MBike shoes. They both have large front foot shoe boxes. But my feet are more like a mix of those sketches. I was wearing a Specialized wide MBike shoe.. I kind of find it silly that this ad shows that the shoe is actually shaped like a foot... as though this is a new and revolutionary idea. Why haven't they been making foot-shaped shoes all along? Long story short, I know exactly what you're going through because I'm living it right now. I'm probably a few pairs of shoes ahead of you. I'm using Bonts on my road bike and some Lakes on my gravel/MTB. I'm pretty sure I've finally found what works for me. Time will tell, but after about 1 year I'm finally pretty happy. It ain't cheap, but I've made the expense decision that my feet are worth it. 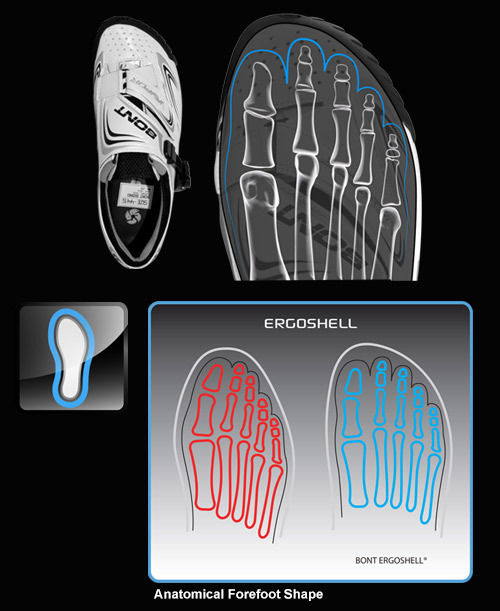 I was very familiar with the individual structure and biomechanical aspects of both of my feet. So when I bought my first bike shoes for my road bike I got Sidi Dominator Mega and SPD cleats/pedals. They provide a wide toe box and a very could adjustment system to accommodate whatever heal width or shape a foot might have. I've never had any problems with my feet from biking or the shoes no matter how long or how often I ride. I'm using Bonts on my road bike and some Lakes on my gravel/MTB. Which models did you get? I've been eye-up the Lake CX237/MX237 shoes (despite the price). I like the idea that they're real leather. Lake has been around forever and has always had a reputation for making shoes that actually fit well... perhaps it's time for me to own a pair. I got Sidi Dominator Mega and SPD cleats/pedals. They provide a wide toe box and a very could adjustment system to accommodate whatever heal width or shape a foot might have. I had a pair of Sidi Genius shoes a million years ago when they were still made of real leather and I literally wore them out. I've been hesitant to go back to Sidi as their shoes are now made of synthetic materials that won't give or stretch to fit my somewhat lumpy feet. According to the Sidi size charts I've found online, the chart says my foot would be considered "narrow" for a size 47 which seems like crazy-talk... so I guess I wouldn't need a Mega. From reading online, several shoe companies like Giro make "high volume" shoes to accommodate wider feet. However, I'm pretty sure my feet aren't unusually large their length, I just want more room for my toes. If the shoe is wider everywhere, then it's sometimes impossible to fasten/close the shoe correct because they buckles "bottom-out". Lake's website specifically calls-out that many of their shoes have a narrower heal and wider toe box, which I *think* is what I'm after. Last edited by PoorInRichfield; 01-17-2019 at 07:14 PM. I don't know when or if Dromarti will become available again, but they may work for you. They're leather and I read somewhere that they fit like Sidi. Or maybe just find any leather cycling shoes and they should shape to your foot. Synthetics don't do that and that may be a large part of your problem. I agree about leather over synthetics... Which is one reason why Lake shoes are currently leading the pack in my buying decision at the moment. I've not heard of Dromarti before... they certainly do look like sweet shoes! And not bad in pricing either (compared to other shoes) at $145. I *think* I found my shoes... the Lintaman Adjust Pro (v1). I just ordered a road and mountain version at only $99 each!?!?! I'm wondering if this is "too good to be true"... 2 pairs of carbon soled cycling shoes with highly adjustable toe boxes for $200. Hmm... I guess we'll find out when (or if) they arrive! 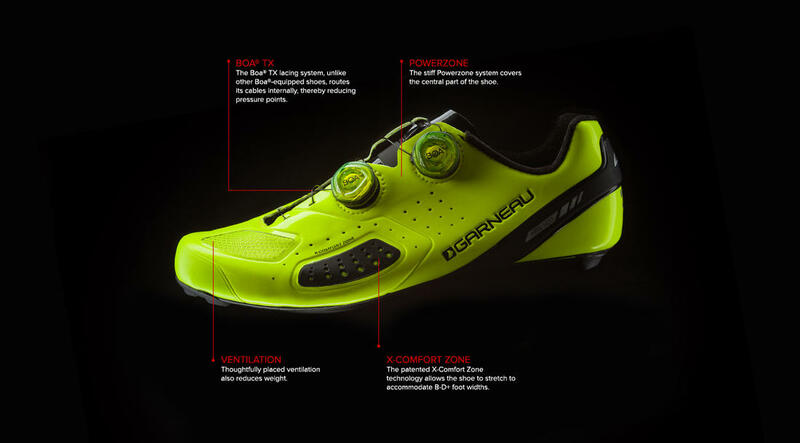 The Louis Garneau X-Comfort shoes also look promising. They feature a flexible section on the side of the shoe that can expand and contract as your foot "splays". For me, the side of my foot at the base of my small toe is the area that gets the most irritated on a longer ride. It's hard to tell how roomy the toe box is on these shoes otherwise. The photo from the top makes the shoe look well-rounded rather than "pointy". The Lintamans Adjust v.1 look interesting. My concern are the Atop dials. 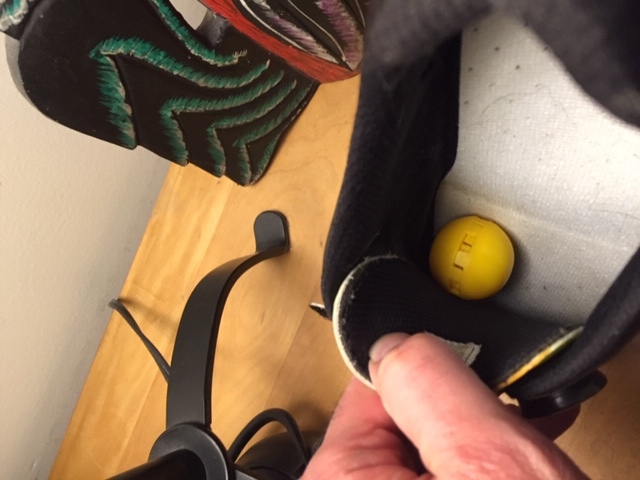 Research says they break easily and are almost impossible to find replacements. Be careful when using the dial on Version 1, some people use them wrong and break them. To tighten – Turn as much as you need. To loosen – Turn once, backwards then pull the cable. You will break the dial if you try to turn it more than one click! DO NOT PULL UP on the dial. These are not BOA dials, they only turn. Atop has a nice web site but doesn't show any way to buy replacement parts. I guess I better be gentle on 'em when I get 'em. On a ride today I was talking with a guy about these shoes. He said he just saw them at a bike show and thought the shoes looked great. He also mentioned that the shoes he was wearing has the Atop dials and he hasn't had any problems in over a year. You ordered a pair of Lintaman shoes? Now lets hope they actually arrive! I'm assuming they'll ship from Taiwan or wherever they're made... it's a good thing it's 14 degrees out so I'm not in a hurry to get them. Performance Bike lists two different styles and I would've preferred to order from them, but they don't have my size in stock. My Bont speedskating shoes have the the best foot shape match of anything I have owned. My Bont cycling shoes are a close second. I use hard shoes that fit well and can be heat molded to get them perfect. I find the demand on cycling shoes to be far less than the demands on speedskates, but I’m used to the fit and feel. My Bont speedskating shoes have the the best foot shape match of anything I have owned. Last Design A last is a replica of a foot that the cycling shoe is built around. 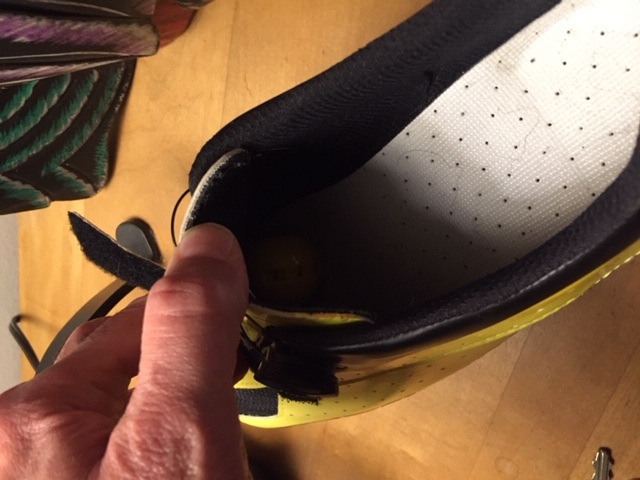 Last makers do not make cycling shoe lasts, they only make shoe lasts so perfecting a cycling shoe last requires a great deal of expertise in functional biomechanics and ongoing research. At Bont, we have been perfecting our performance footwear lasts since 1975 and the process is ongoing. We believe we place more importance and thus place more effort into our last than any other cycling shoe brand and it is the reason that Bont cycling shoes continue to be a leader in providing the most functional and correct anatomical support to cyclists than any other brand on the market. 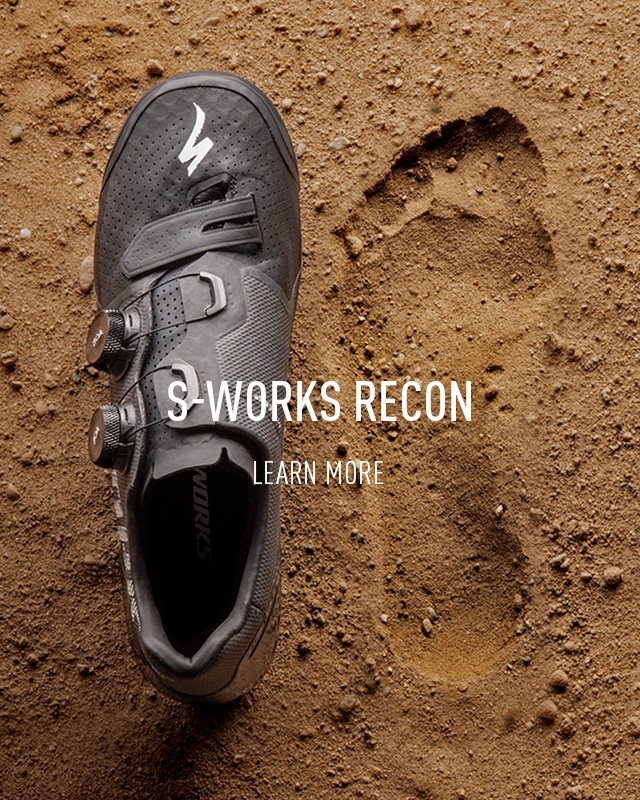 Our motto in terms of cycling shoe fit is simple, "We make shoes for cycling, not walking." ... Although, my big toe is longer than my other toes. Am I a freak-of-nature? I'm glad you started this thread. I've got some messed up feet and have been making due with less than ideal fitting shoes for a while. 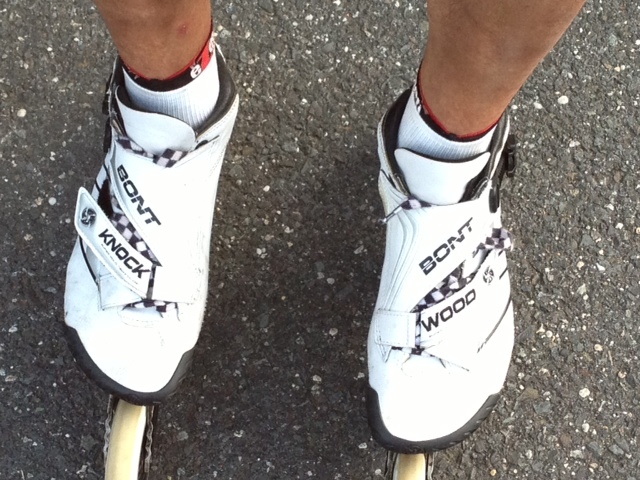 I've been looking at Bont's for a year or so but not having been able to try them have steered clear. But reading the thread made me decide to give them a try. I measured my feet and ordered a pair of Riot+ to see. The price was right and they do look like they will make my feet happy, and getting them now gives me time to get everything sorted out before the season roles around. Hammer toes so bad that only 3 toes on each foot touch the ground when barefoot, talk about a freak of nature. You're welcome! I figured I can't possibly be the only one on the planet who is tired of their cycling shoes fitting too tight or uncomfortably. The one thing I'm reading about Bont shoes that has me concerned is that some say the arch support is very high and rigid as it's part of the sole. 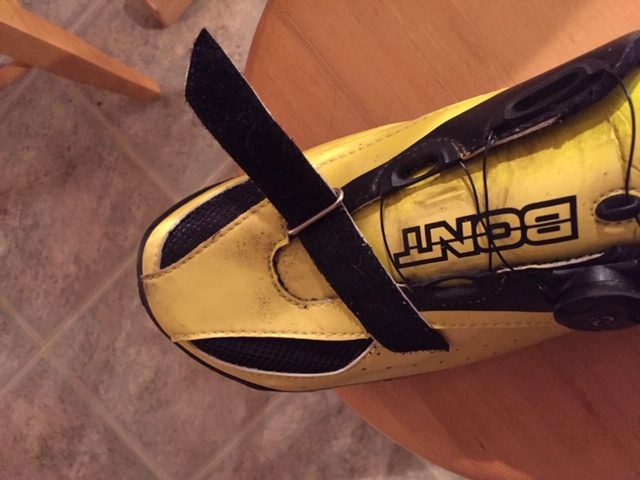 Can any of you Bont owners confirm? I have a pretty low arch and that would be a show-stopper for me. I remember having a pair of Rollerblades that had a high arches molded into the skate and the pain it caused was not tolerable. Last edited by PBL450; 01-26-2019 at 04:24 PM. Trying to capture the arch... albeit not a very good attempt, sorry... Mine are almost non-existent. They are non existent in my skate shoes but I ordered them with a flat insole. Trying to capture the arch... albeit not a very good attempt, sorry... Mine are almost non-existent. Thanks for the input... The arch height must very depending on the model. Note that I've edited my original post to add a summary of my shoe findings for those who don't want to read all my babbling. They vary based on when they were made also, back in the early days, the Wiggo era, they were using Alex Bont’s foot as the last. They shouldn’t be purchased by size but rather by measurements. For small upcharges you can get all kinds of modifications made. They are still relatively new to cycling, but they know how to make shoes like few others. Reviews are tricky because they were developing the product for a time... I have a few pair and I absolutely love them all. I’d live in my speed shoes if it was practical, they are the most comfortable shoe I have ever worn. Last edited by PBL450; 01-26-2019 at 04:26 PM.